As a parent, you dream of a bright future for your children. Part of that dream includes seeing your loved ones graduate—without a lot of debt. The prospect of paying college bills may feel overwhelming, and that's completely understandable. Luckily, however, you have a powerful savings option like the NY529 Direct Plan. Plus, you can use the free online planning resources available on NY529 Direct Plan website @ nysaves.org to help ypu reach your goal. How much will college cost when your kids are ready to attend? 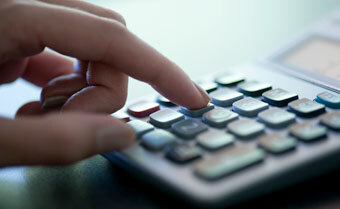 Use the calculator under “How much could college cost in the future? to estimate future costs for both public and private schools. This tool “How much do I need to save” estimates how much you may need to invest each month. If you can't save the recommended amount right now, don't be discouraged. Just save what you can. Remember, every dollar you save is one less you will have to potentially borrow down the road! Many 529 plans offer simplified investment selections based on whether you're a conservative, moderate, or aggressive investor. These portfolios automatically adjust their holdings based on your child's age. That means they invest more in stocks (which have higher risk but higher return potential) when a child is young and shift more money to lower-risk bonds and cash (like a money market account) later on. If you're not sure which type of investor you are, find out here. If you already know which type of investor you are and/or you prefer to create your own mix of investments, choose Option 2—Select your temperament from this asset allocation resource titled “Find the right asset mix” to determine an appropriate option based on your child's age. Planning for a major expense like education takes years, so bookmark these resources for future use. In the months and years ahead, they may help as you work to make those college dreams a reality. *If you're a New York State taxpayer and an account owner, you may be able to deduct up to $5,000 ($10,000 if you're married filing jointly) of your Direct Plan contributions when you file your state income taxes. Please consult your tax advisor. Up to $10,000 is deductible annually from New York State taxable income for married couples filing jointly; single taxpayers can deduct up to $5,000 annually. May be subject to recapture in certain circumstances such as rollovers to another state's 529 plan, nonqualified withdrawals, or withdrawals used to pay expenses for tuition in connection with enrollment or attendance at an elementary or secondary public, private, or religious school. You must make a contribution before the end of a given calendar year for it to be deductible for that calendar year. If you send your contribution by U.S. mail and it's postmarked on or before December 31, we'll treat your contribution as having been made in the year in which it was sent. *This tool isn't intended to constitute, nor does it constitute, tax advice. You should consult your own tax advisor for more information on the tax implications of investing in a 529 plan based on your own particular circumstances. Bond funds are subject to the risk that an issuer will fail to make payments on time, and that bond prices will decline because of rising interest rates or negative perceptions of an issuer's ability to make payments.Investments in bonds are subject to interest rate, credit, and inflation risk.